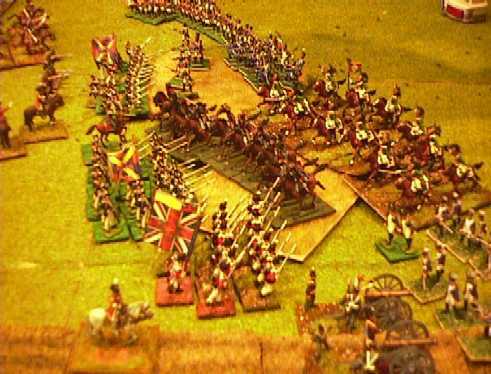 French cavalry prepare to charge. 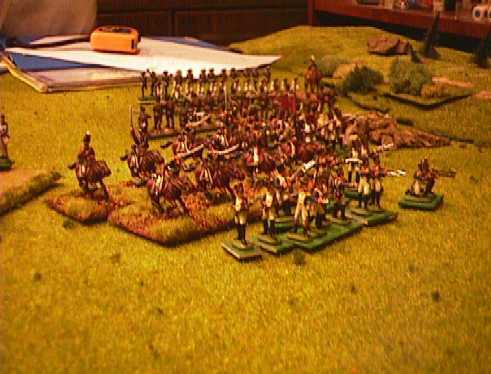 French cavalry catch the Anglo-Portuguese infantry before they can form square! 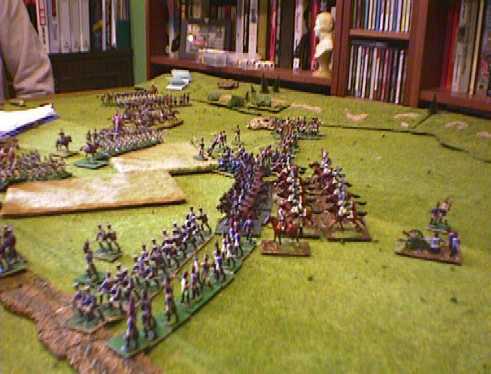 Meanwhile the Gordons charge and prevent the French from charging the guns. After several rounds of melee, the Anglo-Portuguese centre breaks! 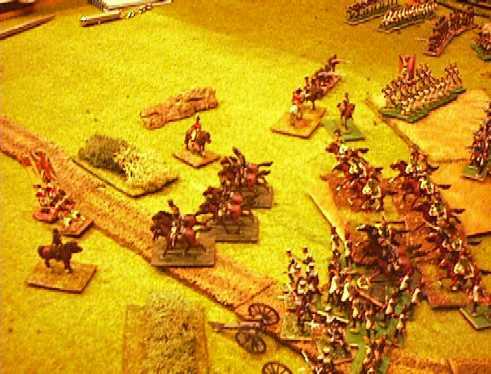 French cavalry exploiting the breach! 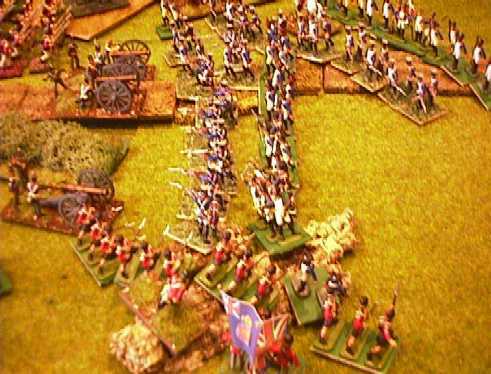 A last ditch attempt by the British to break through the French line meets with mixed results. 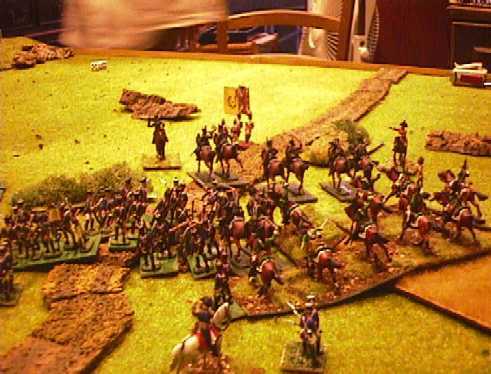 The British cavalry succeeds in breaking the French line, but the supporting Portuguese and Spanish infantry are repulsed!